Cutting-edge training in a super-cool, self-esteem building environment! 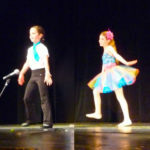 Welcome to INSPIRE Dance Studio where we offer cutting edge classes for children and teens in Ballet, Pointe, Jazz, Contemporary/Modern, Hip-Hop, Tap, Acro, Leaps & Turns, Musical Theatre, and more! 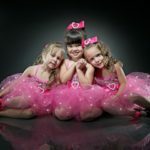 It is our passionate philosophy at INSPIRE Dance Studio that dance education is about creating a happy, whole, and successful child, as well as a superstar top dancer! We believe that happens when children are in an environment in which they feel safe and encouraged to explore beyond their comfort zones, while being given the tools to become flawless technical dancers and performing artists. Unlike many of today’s competitive dance studios, we do NOT believe that disciplined top-notch training needs to be strict, belittling or stressful. This means that every child at INSPIRE Dance Studio will receive elite technical and performance training, while being taught how to create the self-disciplined habits of all successful dancers, how to support and uplift their fellow peers in the journey, and how to believe in their own power to manifest their dreams through hard work, dedication,….and don’t forget FUN! Additionally, we are dedicated to providing a unique setting, which includes intimate small-class sizes, gorgeous spacious studio rooms, and, of course, the most amazing professional faculty! We provide a curriculum that is balanced between outstanding training and a super-cool fun atmosphere! Additionally, for students who want to take their dance to a higher level of professionalism, we offer Competitive Dance Teams and an Advanced Ballet Conservatory Program. No matter in which program you are enrolled, it is our sincere promise to over-deliver on our model of offering the highest quality dance training in the most INSPIRING classroom! We are all here because we LOVE to dance, and we want our students to love their experience with us as much as they benefit from it! It is more than possible to give exceptional training in a fun, upbeat, challenging, and exciting classroom setting! Come join our studio family today! To learn more, click on the program below that best suits your child’s needs at this time.